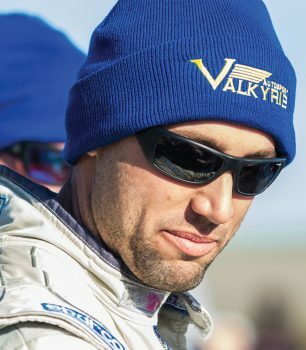 You’d think that the winter season would serve as the time for racing teams and drivers to hang up their gear and take a break, but there’s one race in December that no one in motorsports wants to miss. 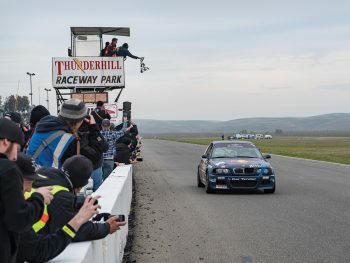 The 25 Hours of Thunderhill presented by Hawk Performance returned in 2016 for its 14th running as the longest closed road course race in the United States. Nowhere else will you find a wider variety of cars on track at the same time, as more than 50 teams battle through day and night, rain or shine, for a full 25 hours. 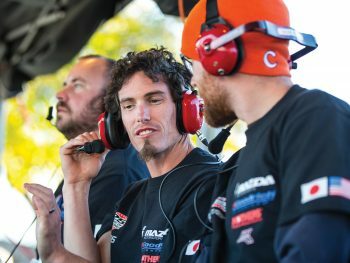 One of the primary draws to this grueling 25-hour race for fans, drivers and teams alike is the variety of vehicles competing. Seven classes of cars compete at the same time for their own respective battles. 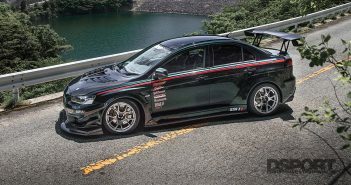 This includes vehicles like numerous NA and NB Miatas, the new-generation Honda Civic, Audi R8 LMS and Porsche GT3 Cup cars, and purpose-built prototype racecars. 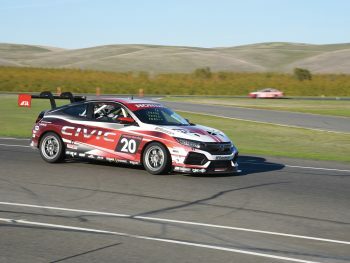 The variety of cars makes for differences of up to 500 horsepower and 30 second lap times between the classes. This adds a whole new element to the competition, while demanding every bit of concentration that the drivers are capable of. 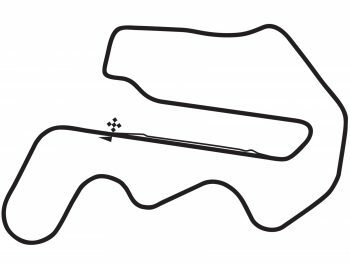 This event has long stood as the proving grounds for race teams, drivers and major vehicle manufacturers. 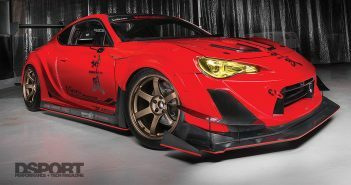 Here, you’ll find many of the latest developments in new performance parts and racing platforms. 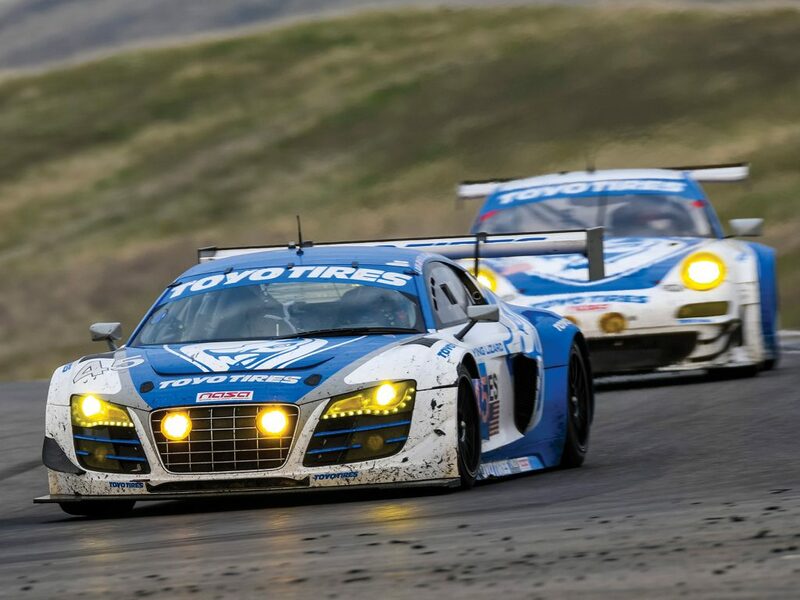 The 25 Hours of Thunderhill calls for a combination of endurance, patience, strategy and speed. The tough part is finding the balance between how hard the car can be pushed in order to stay competitive while avoiding burning through consumables or even worse, breaking down. 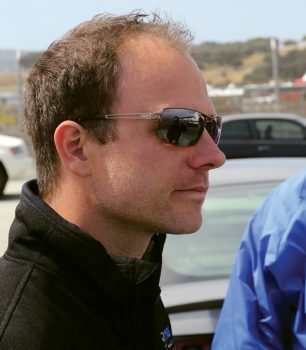 In order to better handle the task, multiple teams brought out their star drivers like Bryan Herta, Tanner Foust, Tyler McQuarrie and Al Unser Jr. 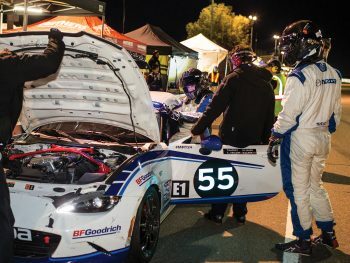 Drivers at this level may be known for accomplishing feats in outright speed and handling, but the important skillset at this event comes from their experience in handling heavy race traffic and making wise on-track decisions. 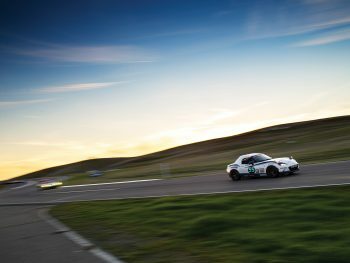 The battle of attrition took its toll on numerous teams throughout the night and, despite the extreme length of the race, some of the class podiums weren’t clear until the very end. 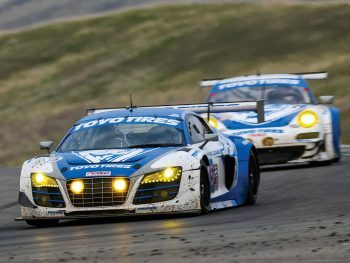 Flying Lizard took both the overall and ES class wins in the Audi R8 LMS car with 751 laps completed, followed by its Porsche RSR teammate at 730 laps. 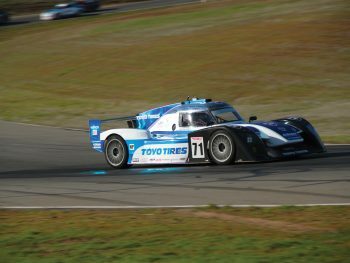 The Ryno Racing Team Ginetta G57 prototype car won the RSR class and although it turned quicker lap times than the Flying Lizard entrants, it was six laps away from capturing the overall title. The E2 and E1 classes delivered the closest battles. 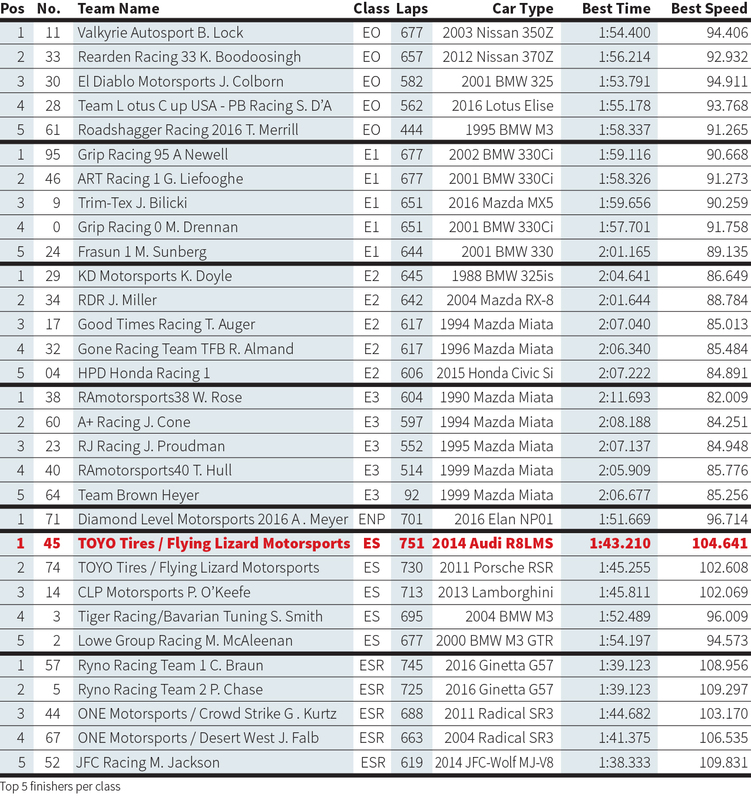 In E2, only three laps separated the RDR Mazda RX-8 and the KD Motorsports BMW 325is that came out on top. 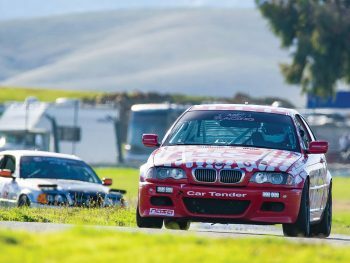 In E1, strategy came into play between the Grip Racing BMW 330Ci and the ART Racing BMW 330Ci. The teams ran close throughout the entire race, trading the top position as each one made pit stops. 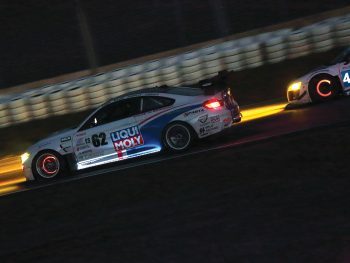 With a quick splash-and-go stop to provide just enough fuel to cross the finish line, the Grip Racing BMW took the win by only 17 seconds after completing 677 laps. Another successful 25-hour race in the books, and teams are already sketching ideas for next year’s event. 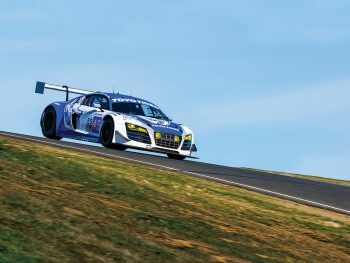 The 25 Hours of Thunderhill is appealing to many, as endurance, weather and strategy tends to put entrants on a level playing field. 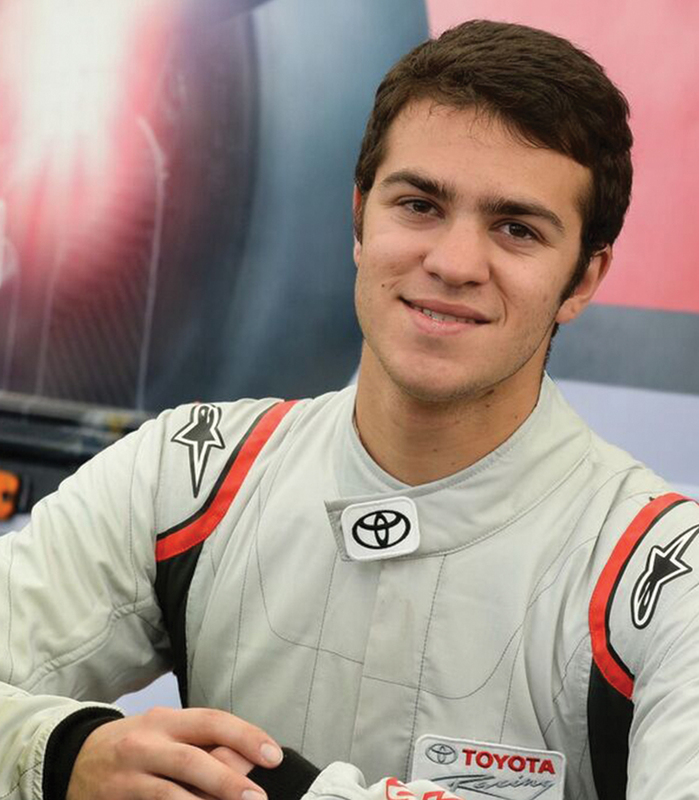 It gives club racers a chance to compete against or even share a car with some of racing’s top drivers. Turning laps for an entire day plus an hour is a grueling, stressful and draining experience for the teams, drivers and cars. However, each entrant that crosses the finish line is another testament to the innovation and passion that drives motorsports. One day (+1 hour) is a long time to be racing, and I found that out firsthand at the 2016 running of 25 Hours of Thunderhill. Although I’ve driven a lot of races in different types of open-wheel cars, this race was completely new for me in nearly every way. It was my first time driving an endurance race, driving a GT car, driving at night, performing driver changes and more. The learning curve at the beginning was tough, but I gained so much knowledge during the event from the experienced Flying Lizard team. For example, I learned the importance of proper hydration and nutrition before driving a long stint. After driving the Porsche GT3 RSR for the first time, I have to say that it is now my favorite racecar. It sounds brilliant and was very balanced during the long runs. Although we lost fifth and sixth gear around eight hours into the race, the car powered through the rest of the race flawlessly. We did not even have to change brake pads. I did feel a little bit bad for the car since we were holding the revs at 9,000 RPM in fourth gear down the front straight! 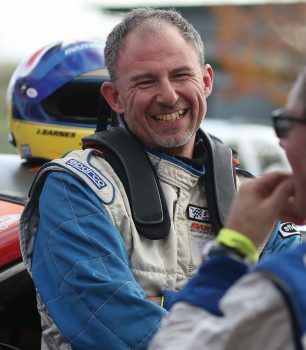 I am very thankful to have been able to participate in this awesome, competitive event, as well as having been able to race for a team like Flying Lizard. The others drivers of our car, Andy, Charlie and Tommy made this race a lot of fun too. It was great having the Toyo Tires team involved with the team and the race as well; their hospitality made the long, cold night much more bearable. This little taste of GT and endurance racing has made me eager for more, I hope that I will have the opportunity to do more in the coming years. 2016 marked the 14th running of the 25 Hours of Thunderhill, one of the most unique races in the world. 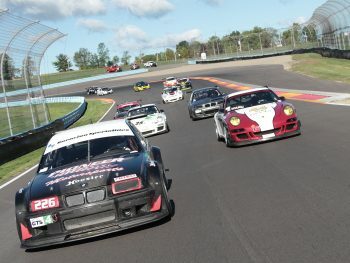 Not only is it the longest endurance race in North America, but it also features the widest variety of cars of any other series on this continent. Only at this race will you see supercars and prototypes competing against Honda Civics, and professional drivers racing alongside club racers. The conditions were great with high temperatures in the 60s and lows in the 40s, much better than previous years of driving in the rain or snow with temperatures in the teens. 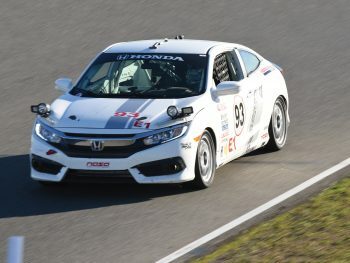 This was the 4th straight year of competition for HPDRC (Honda Performance Development Racing Club), who brought an E1 2016 Honda Civic 1.5-liter turbo coupe prepared for Pirelli World Challenge’s TCA class, and an E2 2015 Honda Civic Si coupe under NASA PTD rules. 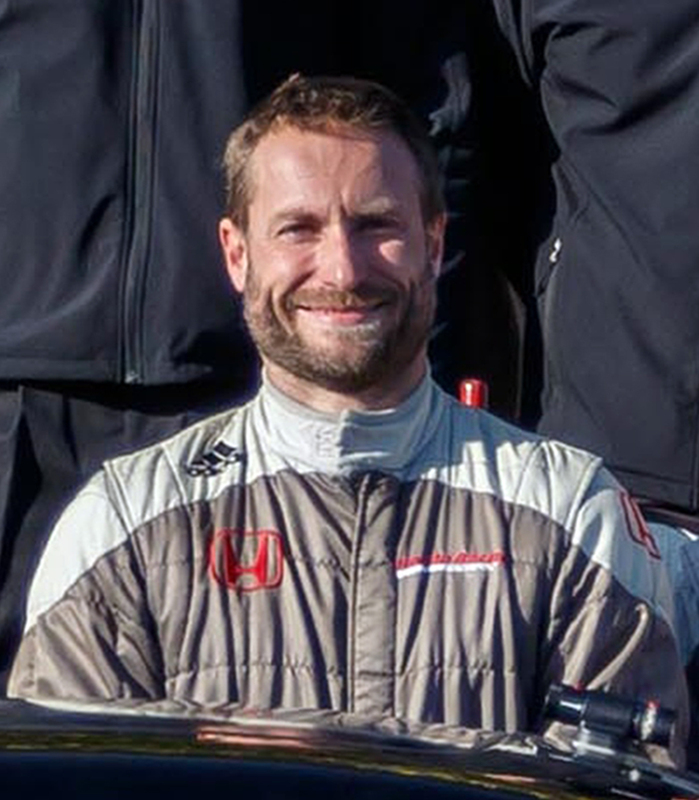 Development of both cars started late in the year and only minimal testing was done, which ultimately resulted in finding problems at the track the day before the race. We were able to recover from most of the problems prior to the race, but unfortunately, the #04 2015 Civic suffered from a broken suspension component after going off course early in the race, and the #93 2016 Civic lost a couple hours after rear ending a prototype car (driven by Al Unser Jr.) that came out of the pits without lights on during the late hours of the night. Despite the issues, the team never gave up, and was able to make the repairs and get back out on track to complete the race, finishing 12th in E1 and 5th in E2. Now that we have some time to properly develop the cars, we are optimistic for a much better result next year. 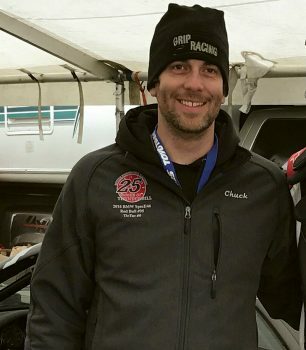 This was my fifth year with Grip Racing at the 25 Hours of Thunderhill. Through those years, we have seen many hardships, broken parts, bent panels and every once in a while a glimmer of everything working perfectly. This 2016 effort was almost 25 hours of that glimmer. With great car prep and a solid driver lineup, we started the race and never looked back. From the get go, we had a battle on our hands with the #46 Art Racing BMW 330Ci. With every pit stop, the lead would change. My first stint in the car was in the night from about 12:30 AM to 4:00 AM. I’ve driven this race many times at night but this was the best stint by far. Visibility was perfect with no fog or rain. Passing slower cars and being overtaken by the race overall leaders seemed to work just right. We were holding first place when I got out of the car and we continued our assault. The lead changes continued through the morning against the #46 Art Racing BMW. I climbed back into the car at 9:30 AM and drove a good stint into what we hoped would be our final pit stop. With about an hour and fifteen minutes remaining in the race, our crew strategists determined that the #46 car would have to pit one more time. If we could just stay on track through to the finish, then we could take first place. We slowed our lap times (short shifting and driving in higher gears), while also trying to save what we had left of our brakes. We went into fuel conservation mode and it seemed to work until about 12 minutes from the end of the race, when the engine began to fuel starve around certain corners. We had to make a last minute splash-and-go stop to reach the finish. After our stop, we exited pit lane still in first position by about 25 seconds. The #46 car was closing in but it was a gap that we could hold. After the 25 hours came to an end, the difference between us and the Art Racing #46 BMW was only 17 seconds. It was my first P1 finish and my screams into the radio told my level of excitement. Our crew did a fantastic job, the drivers kept the car in one piece and moving at a competitive pace, and the car prep was amazing. All of this culminated to a class win at one of the most grueling races on the planet. I can’t wait until next year. It was the definition of a team effort from Valkyrie Autosport to win the E0 class of the 25 Hours of Thunderhill. 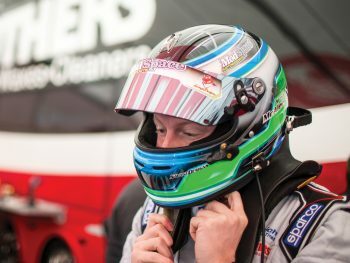 The goal was set back in December of 2014 to develop the team’s 350Z and win this race, and it was a two-year commitment from our sponsors and drivers to achieve this goal. 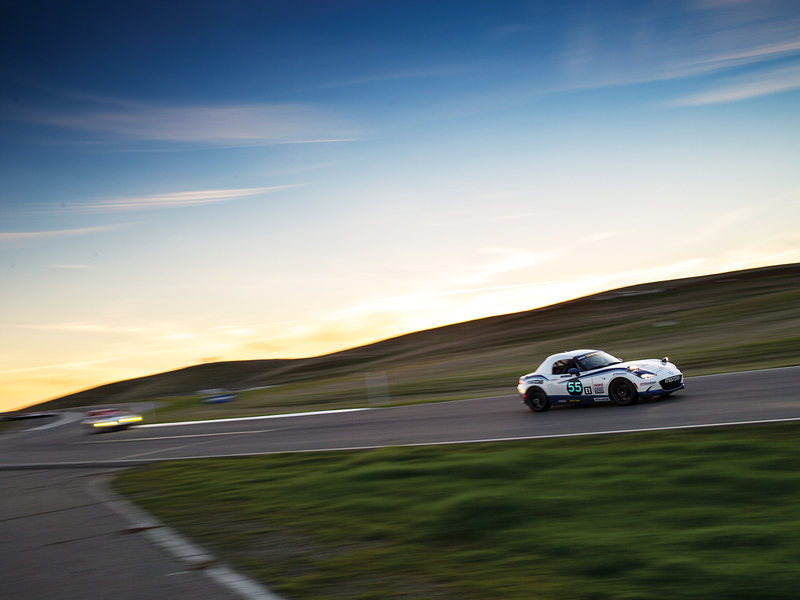 With wins just out of our reach in multiple three-hour events, two six-hour events, and an almost perfect 25 Hour debut in 2015, the pressure was on to take home first place for this year’s 25 hour race. Starting from pole position allowed us to establish our dominant pace. After that, it was a matter of executing our strategy of consistency with the help of our Hoosier R7 tires, isolating driver changes to the four scheduled tire stops to minimize pit stop times, and not taking any risks in traffic. We knew that with the parts we had on the car, we could lean on it as hard as we wanted without any trouble. 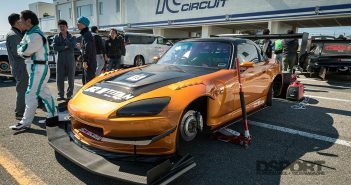 From the power and reliability of our Jim Wolf Technology engine tuned by FFTec Motorsports and PPE headers, to hitting all the curbs we wanted thanks to SPL suspension links and bushings and JRZ dampers, to going deep in every braking zone with our StopTech BBK, it was our race to lose. It was a close one. In true 25 Hour fashion, we saw a failure of a part that has never failed with all the teams racing on the Z platform. We broke a seal in our power steering rack 12 hours into the race. After getting out to a six-lap lead, we slowly gave it all back, stopping often to refill our power steering reservoir so that we wouldn’t seize the pump and take out the alternator and dry sump belt. We had a nail-biter of a finish for the win, becoming the first Nissan to stand on the top step of the podium in this distinguished event. We did it! 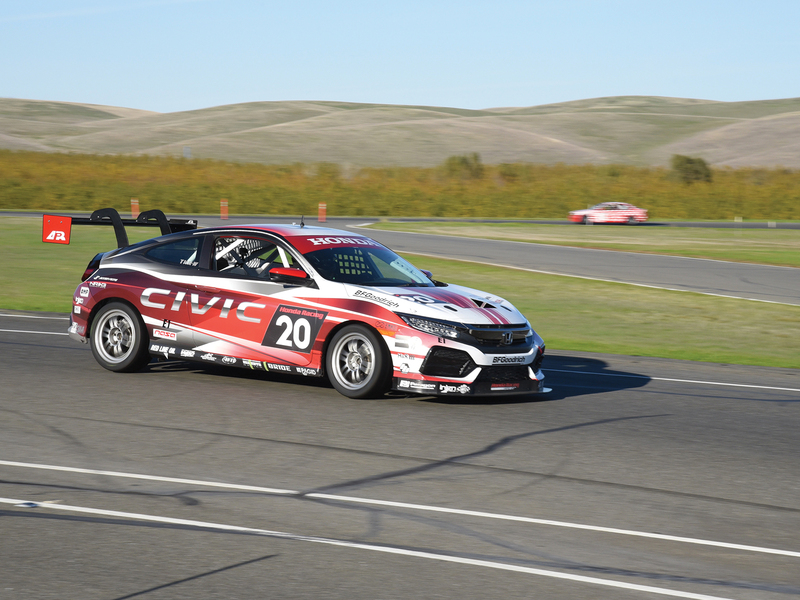 We finished NASA’s 25 Hours of Thunderhill presented by Hawk Performance, the most grueling endurance race in the world. We did it without a single mechanical issue, and we accomplished much more than just finishing. We took sixth place out of 58 total cars, won the ENP class and won the under-2.0-liter overall trophy. All totaled, we ran 701 laps for a total of 2,007 race miles, 14,020 gear changes, two tire-change pit stops, 18 fuel stops and 185 gallons of fuel. We were also the highest starting and highest finishing Mazda-powered car in the field in just our second attempt at it in my NASA Prototype Élan NP01. Of course, we had a great group of sponsors and a crew of combat veterans we assembled with help from Diamond Level Motorsports. We had five veterans of the Iraq and Afghanistan wars from the Army, Marines and the Navy helping us. They really came together for us and kept us on track without incurring a single pit-stop-related penalty. That’s not easy to do at Thunderhill, either. 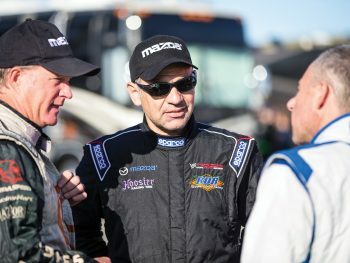 It would have been impossible to do what we did without support from Toyo Tires, Mazda, Hawk Performance, Élan Motorsports Technologies and Todd Therkildsen for his help on our setup. We also couldn’t have done it without help from Winding Road Racing, Safecraft, Advanced Clutch Technology, Motion Control Systems suspension, AiM Technologies, AEM Performance Electronics and Sampson Racing Communications. I also must thank Jason Ricker, Scott Meyer and Tom Woods for helping put this together, and Gary Faules for being our crew chief and keeping everyone focused and on task. Honestly, what I found most satisfying was that the only cars that finished ahead of us had 400 to 600 horsepower, cost upward of $350,00 dollars and had much bigger pro-level crews and budgets. Our effort certainly wasn’t bad for a last-minute team fielding a purpose-built racecar with 180 horsepower and a price tag under $75,000. 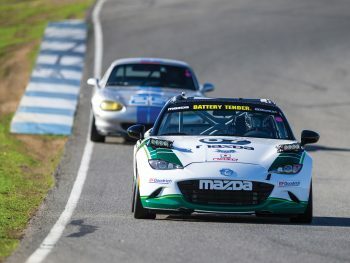 The 2016 running of the 25 Hours of Thunderhill is my 13th try at the longest road race in North America, and it’s absolutely the best race of the year. “Kermit” is our 2003 Mazda RX-8, and he’s had a bit of a hard life. He’s been a racecar since new, with well over 30,000 track miles. He’s a wonderful racecar when he’s right, but has a bit of a reputation for a touch of unreliability now and then, usually in the middle of the night, when it’s very cold out, and raining. The race started well for us with Joel Miller pushing to the front of the E2 class early, then settling in to our race-pace to try and save fuel. An early issue that called us to the pits was fixed quickly, and I jumped in for my first stint earlier than we’d planned. My stint went without event until I had a total electrical failure. I coasted into the pits and into the paddock, where the Robert Davis Racing crew found that we blew an ignition fuse. Instead of the 15A fuse that was in there, we popped in a 20A and were on our way. Unfortunately, we lost four or five laps in the process. By the time my stint was over a couple hours later, we gained two laps back on the leaders but were still in third. As the race went on, we had our ups and downs, as the fuse blew again and we tracked the problem down to a failed ignition switch. We had to abandon the fuel-save plan and we drove Kermit flat-out for more than 20 hours. Our quickest lap was a few seconds quicker than the eventual class winner, but we dug ourselves too deep a hole at the start to get back to the front. At the end, Kermit – and his driving team of Dennis Holloway, Lee Papageorge, Joel Miller and myself – finished second in class. While we didn’t win, the fact that we did nearly 30 laps more than in the previous two years when we won the class spoke for the pace of the race. 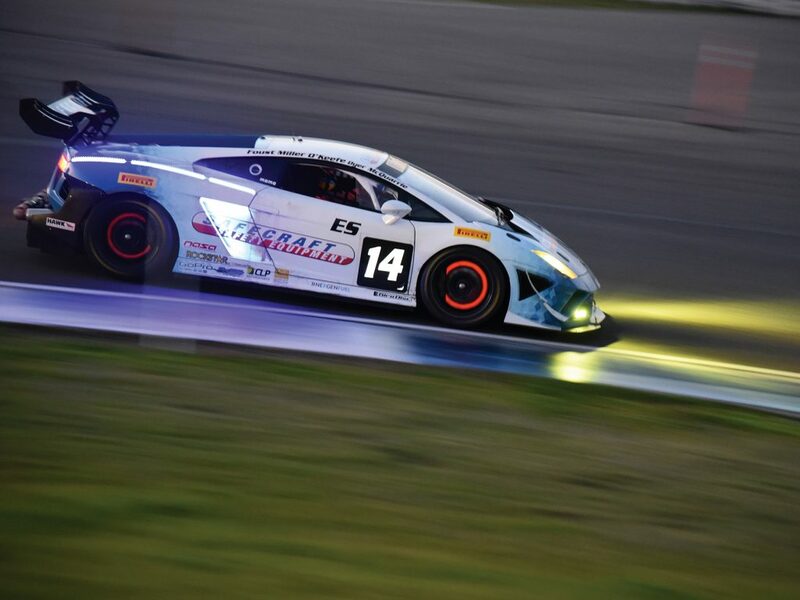 If you’ve never raced at night or in an endurance race, do yourself a favor and try it. It’s as close to Le Mans or Daytona that most of us will ever get, and you won’t regret it.